WILLIAM N. POTTER is a prominent and wealthy farmer of Bond County and a member of an old settled family. The beautiful home of our subject, with its trees and flowers, proclaims to the stranger that it is the abode of culture and refinement. The subject of this notice resides upon the farm where he was born, December 29, 1841. His father was James M. Potter, a native of Kentucky, who was born in 1811, and was a farmer and carpenter. At the latter trade he was very successful, as he was of an ingenious turn of mind, and he also carried on the business of running carding machines. He came into the State about 1830 and into Montgomery County in 1838, but only lived there a short time, and then came on here. At this place he entered three hundred and seventy-five acres of prairie land from the Government, and then married and settled in this place in 1840. There were many deer and wolves in this region at this time, but Mr. Potter was no hunter and he did not molest them as they seemed afraid of him. Here he built a frame house and made the first improvement on the land. James Potter raised considerable stock, but at that time St. Louis was the nearest market; there were no railroads to carry anything, and it was necessary for the farmers to haul all their produce to this far distant market. This necessitated a trip of some four days and a camp by the way. His early political opinions were those of the Whigs and later he became a member of the Republican party and was a man of great firmness and determination in following what he believed to be right. His death took place in March, 1857. The mother of our subject was Malinda Paisley, who married James Potter September 24, 1840, and who was born in this township, October 13, 1819. Her father was William Paisley, of whom a sketch will be found in the notice of Robert Paisley. Two children were reared by Mr. and Mrs. Potter, William N. and Nancy A. The latter married Robert Forsythe and lives in Logan County, Ill. Mrs. Potter is still living and resides with her children. Our subject was reared on the farm and was educated in the subscription schools and then attended the Mt. Zion Academy for two seasons, during his eighteenth and nineteenth years. His father died when he was seventeen years old and he was obliged to take charge of the place himself. When the war broke out he was one of the first to enlist and joined Company E, First Illinois Cavalry, and served one year, being mustered out at St. Louis. He was on duty all through Missouri and was in the battle of Lexington, being captured there, but was paroled and was mustered out of the army in July, 1862. In 1867 he was married to Miss Edia Z. Johnson, who was born in Hancock County, Ill., November 20, 1847. Five children have resulted from this marriage, James H., Dora, Isabel, Flora and Robert. Our subject has three hundred and seventy-five acres of prairie land and has eighty acres in timber. He has made all of the substantial improvements upon the place and now has a farm second to none in the county. He has raised both stock and grain and has a thorough understanding of the management of the former. In 1878 he went to Harvey County, Kan., and dealt in cattle and hogs until 1883, buying and shipping them. His present beautiful residence was built in 1884, when he also erected a large granary and buggy house. The home is a charming one and the people are worthy dwellers in it. Mrs. Potter is a lover of flowers and her taste is seen in the beautiful arrangement of her lawn. She is a member of the Presbyterian Church and a lovely Christian lady. In politics, Mr. Potter votes the Republican ticket and upholds the principles of that party. Almost all of the advancement in the county has come under the notice of Mr. Potter and he has done his share toward the development of his section. 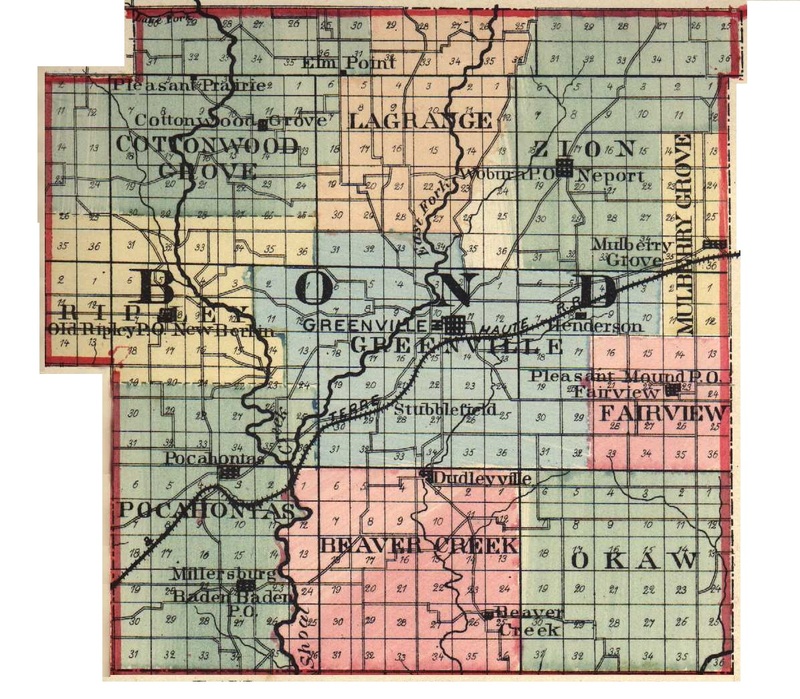 Extracted 29 Nov 2016 by Norma Hass from 1892 Portrait and Biographical Record of Montgomery and Bond Counties, Illinois, pages 129-130.